Experts at Martin-Kaye Solicitors have welcomed a new colleague to their growing team who has taken an unusual route into the legal profession. Gemma Himsworth, who has been appointed by the law firm in Euston Way, now specialises in family law, but she hadn’t always intended to follow that career path. “I actually have a first class honours degree in Theology from Cambridge, but I then decided to choose a career in law so I initially worked as a legal secretary while I completed my law qualifications. 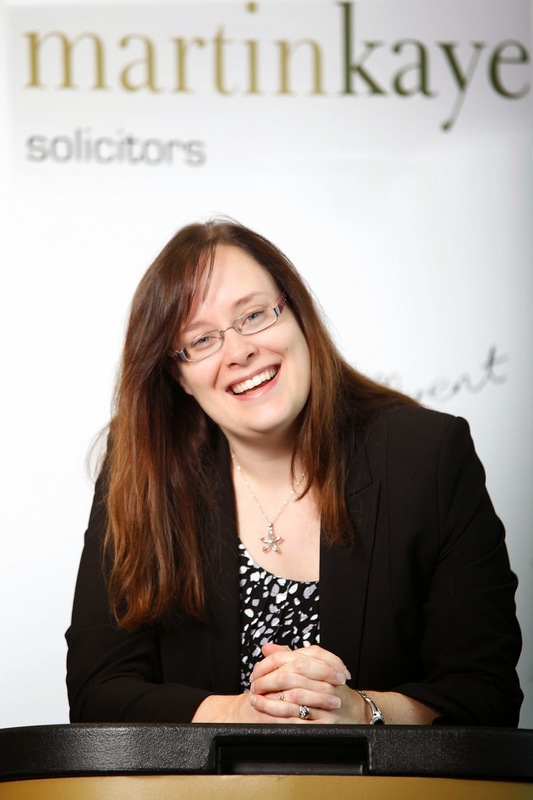 “I’ve specialised in family law for over eight years now, and the best part of my job is that I get to deal with legal principles that can often be extremely complex, but I also get the chance to meet a huge variety of people too. “In the world of family law, you’re dealing with everyday issues that can affect anyone, and it’s incredibly rewarding when you get a good result for someone over an issue that directly affects their personal life. Martin-Kaye’s family team are experienced in all aspects of matrimonial and family law, and will explore all avenues in order to resolve disputes swiftly, amicably and cost effectively. They are particularly experienced in dealing with the complexities of dividing assets after a relationship has broken down, especially where businesses, pensions, trusts and investments are involved.